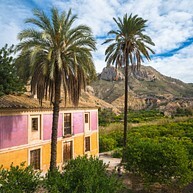 The ancient city of Murcia is located in the mountains, about 25 km away from the Mediterranean Sea. The region is known for agriculture and tourism but also for its charming mountain villages, traditional fishing stations, a green countryside, and beaches that are still untouched. Opening hours: Spanish shops are open Mon-Sat 9:30am-1:30pm and 5pm-8:30pm. Shopping malls and supermarkets are open from 10am-10pm. Most other large towns in the region also have tourist information offices. 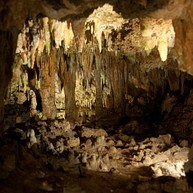 It is easy to take day trips from Murcia, either by rental car, train or bus. The villages in the surrounding mountains are well worth a visit, as the coastal region of Costa Cálida has many interesting destinations such as Lorva’s baroque buildings and the quaint village of Moratalla. However, do take your time and experience Murcia itself. Sculptor Francisco Salzillo lived in Murcia in the 18th century, and christianity heavily inspired his original and colourful work. The Muzeo Salzillo displays close to 500 of his works of art, and each Easter, his art is used in the traditional parade through the city. This square is flanked by two of the city’s most interesting buildings, as opposite the impressive cathedral of Murcia is the Palacio Episcopal from the 18th century. Constructions on the Episcopal started in the 14th century, and today, its impressive tower reaches over 300 feet high. This relatively unknown valley is home to several charming small towns including Ricote, Ojós and Abáran. The landscape is dotted with leafy fruit farms, and the surrounding hills are popular for hiking and mountain biking. 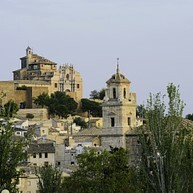 Northwest of Murcia is the small and historic town Caravaca de la Cruz. In the 16th and 17th century, Caravaca was the political centre of a vast territory that was governed by the Order of the Temple and Order of Santiago, and the splendid castle and the renaissance Salvador church are now the town's main attractions. One of the coast’s natural attractions is Mar Menor, the largest saltwater lake in Europe. As Mar Menor means 'minor sea', the Mediterranean Sea itself is, consequently, called 'major sea'. Close to the lake are the old fishing village of Cabo de Palos, and the unexploited beaches of the Calblanque National Park. The regional park Calblanque is a beautiful nature reserve with amazing sandy beaches, cliffs, and mountains. There is a small visitor centre where you can get more information about both flora and fauna, and routes for the hiking trails. Be aware, there are no facilities like cafés and restaurants here as this is a protected area. 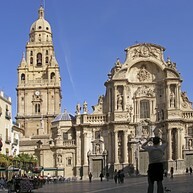 The Cathedral of Saint Mary was built in 1394 and it is Murcia's most important monument. 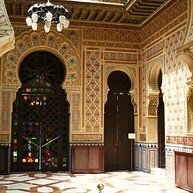 It has outstanding details, both inside and outside, with elements of Gothic, Renaissance and Baroque architecture. The bell tower is 90 meters tall and it has 24 bells, each named individually. Royal Casino of Murcia is located in the city centre just a short distance from the Cathedral and it can be described as a social club for the elite; however, this exclusive environment is open for the public during specific hours as well. The casino is a very unique building with beautiful decoration, a modern Arab room, a beautiful art nouveau library, a nice ball room and a glass gallery. 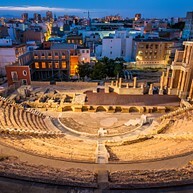 The Roman amphitheatre of Cartagena in Murcia, which was built between 5 and 1 BC, is wonderfully preserved, and the museum close by offers excellent exhibits that display interesting historical artefacts. 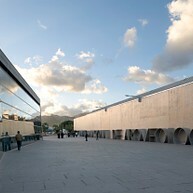 On display of the museum is a huge collection of underwater artefacts and old sailing and trade ships but the exhibition is also devoted to naval construction, navigation and ports of the Mediterranean. The museum is located in an impressive modern building and in the inside, you will find a café-restaurant that offers magnificent views over the bay of Cartagena. 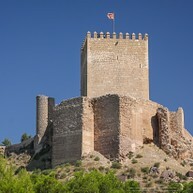 For an excursion, head over to the amazing castle of Lorca. To get up to the castle, take the small road train that directly leaves at the visitor centre called Lorca centre. 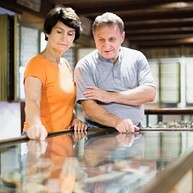 At Castillo de Lorca, you will meet staff in costumes that will try to make each part of the castle come to life again. Why not try some adventure sports like river rafting or kayaking! You do not need any experience, as the trained guides and the great stability of the boats will allow you an easy start – just enjoy the beautiful scenery and the adrenaline. There are also many activities that are adapted for the whole family, so this will be a memory for lifetime! The cave of the port, Cueva del Puerto, is one of the largest caves in eastern Spain, located in the beautiful Sierra del Puerto Mountains, and offers many beautiful underground rooms such as the Zona del Laberinto, Gran Diaclasa, Gran Bloque and Sala de los Claustros. The amazing and colourful stalagmites and flow stones stand out, and they do allow both great fascination and extreme experience. 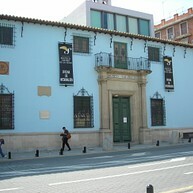 Learn more about the Spanish Civil War and take an emotional trip to this interesting and informative museum. Here you can experience real life bunker completed by air raid sound effects. It also provides many exhibits, oral histories, films and photos. El Parque Minero de La Unión, the local mining park, opened in the summer of 2010 and it is a unique tourist attraction where you can learn about the city's mining history, as there is plenty to see at both the inside and the outside. Keep in mind that it is necessary to book your visit in advance. 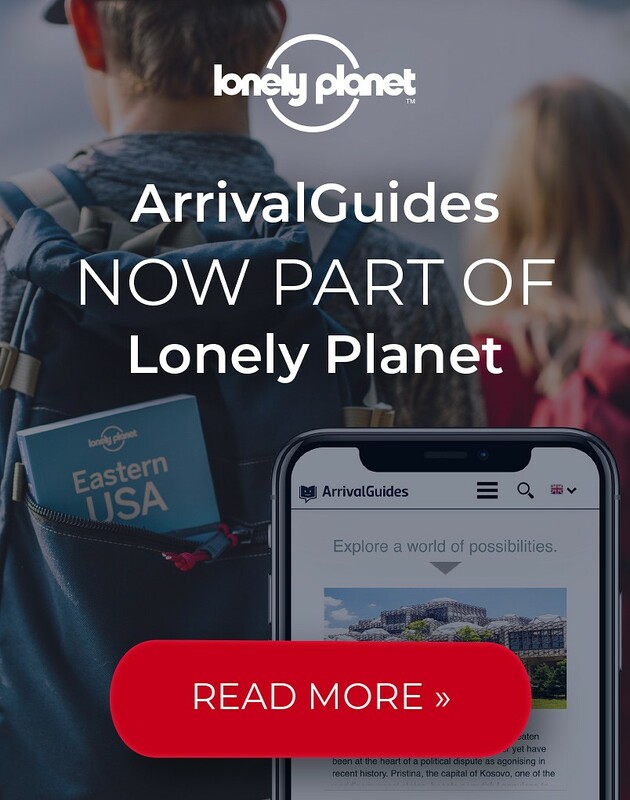 They also provide English speaking tour guides. 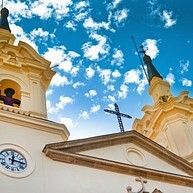 The Sanctuary of the Virgin of the Fuensanta is a beautiful monastery located among the hills in Murcia. The walk up is lovely and once you reach your destination, you will be rewarded with a beautiful view over the city.